Join us for the April SEFF – IFA Luncheon on Tuesday, April 14. The topic for our April luncheon will be Alternative Funding Sources for Franchisees. 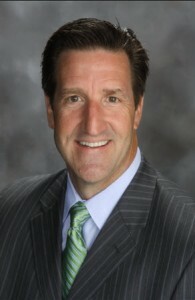 Eric Gagnon is the President of We Sell Restaurants and a national industry expert in restaurant sale and valuation. 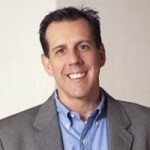 Eric began his career in the financial services industry for Bank of America, Bank of New York and big five accounting firm, KPMG before launching the nation’s premiere restaurant brokerage firm and restaurant brokerage franchise. Eric is designated as Business Industry Expert by Business Brokerage Press and earned the designation of Accredited Business Intermediary from the American Business Brokers Association. Eric is Past President of the Georgia Association of Business Brokers and Lifetime Member of the Million Dollar Club. He is a member of the International Business Brokers Association, Business Brokers of Florida and the International Franchise Association. Eric is licensed as a Broker in Georgia, South Carolina and Florida. He holds degrees from major universities in both the United States and Canada. Mark Myette owns and operates an independent office of The Entrepreneur’s Source, alternate career coaching organization. He educates clients about business ownership as a career option and helps them to explore businesses that meet their specific profile and business outcome criteria using a step-by-step discovery process. Throughout his business career, which began in 1983 and where he spent 24+ years within Fortune 500 companies, he has always loved being an advisor, catalyst, coach, connector, influencer, pioneer, stimulator and teacher! Mark earned his undergraduate degree from Boston University. He earned an MBA from Emory’s Goizueta School of Business. 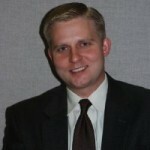 Adam is a Vice President with Bank of North Georgia a Division of Synovus Bank. He enjoys franchise lending, but prides himself on being a generalist and assisting a variety of small and medium size businesses with their real estate, equipment, and lines of credit needs. Adam has approximately 10 years of experience in the banking industry and has been with the Bank of North Georgia for approximately 9 years. He holds degrees in Management and Chemistry from Georgia Institute of Technology and is currently attending the Graduate School of Banking at LSU.